An important part of any adventure is to ensure that in the event of any mishap, from a minor scratch to a serious cut, you are prepared. Having a first aid kit that is easily accessible and contains from the very basics to whatever you as the individual feel you require is part of being prepared. It is important to remember that, in the event of an emergency or injury, you must ensure that prior to offering anyone medication that they are able to take the medication safely, i.e. they are not allergic to it. A good rule to adhere to is if they don’t know, don’t give it to them. Also, if they are not fully conscious, it is never recommended to give a person medication. Should you as the traveller be taking prescription medications and you’renot going to be near a pharmacy or hospital, it is advisable to take extramedication with you to prevent you running out and so that if anythinghappens to your medication, you will at least have morewith you. Also, don’tkeep all your prescription medication stored together. To prevent you losingit all, keep one set with you and another set somewhere else. Furthermore,it would be advisable to have a copy of your prescription and your treating doctor’s details available in the event that you are not able to provide thedetails yourself. If you are allergic to various food products or bee stings, it isrecommended that you have enough of your prescription medication withyou, that you keep it in an accessible place and that those travelling withyou know how to use it (i.e. an EpiPen). 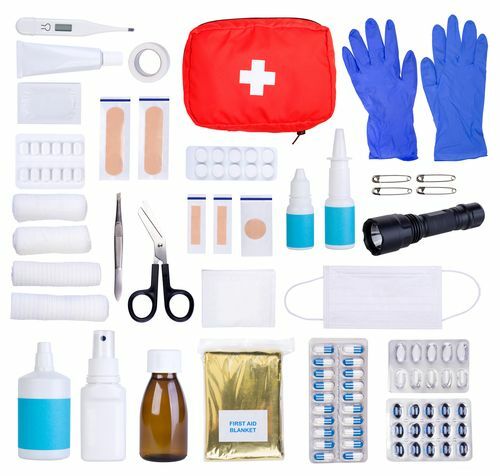 The same would apply for a personwho is diabetic or epileptic; ensure that whomever you are travelling with isaware of your medical status and knows what needs to be done in the eventof an incident, especially if you are going on a holiday in a remote area wheremedical facilities are far and few. Having a bracelet indicating any allergies,medical conditions, your organ donor status and your identification details arealways a plus in an emergency situation. Keep your DAN member card, medical aid and travel insurance in a safeplace (a sealed plastic bag seems to be a very popular way to transport thesedocuments) for if the unthinkable happens and you or a family member needsto be transported to a medical facility by air ambulance, helicopter or roadambulance. This will ensure that whichever emergency service is contactedwill have the relevant information at hand. This will also ensure that as littletime as possible is lost in the dispatching of an appropriate form of transferto the correct facility for medical attention. If your medical aid providesinternational cover or insurance, ensure you declare your trip to them prior toleaving the country. This could ensure that you are adequately covered, shouldthe need arise. These are just a few points to ponder on. No one wants to go on holidaywith a sense of doom and gloom, but preparedness is key and can be timeaswell as life-saving. If something goes wrong in a foreign country, it isimportant to know what the emergency numbers are and take a few minutesto look up what medical facilities are available (even if you will only betravelling out of your province). Once all these items are sorted out, it’s time to set off on your adventure.Have some well-deserved relaxation and have a great holiday.